Our Cascade series accommodates moderate to heavy foot traffic and features field and olive green color tones, making it a great choice for any commercial or residential landscape areas. 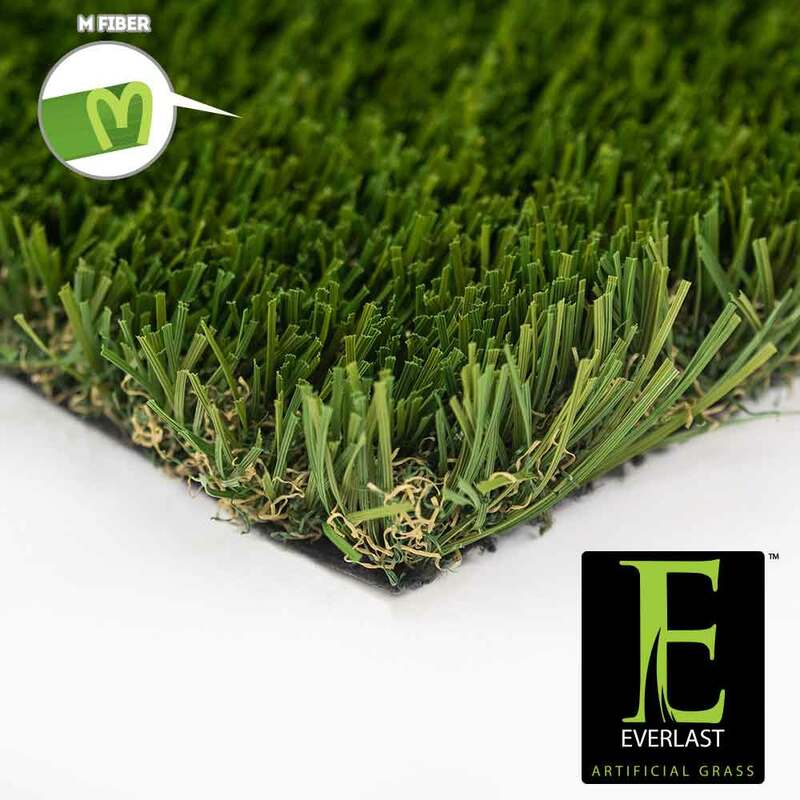 Everlast Cascade creates a beautiful lush lawn experience with an approximate 1.75” pile height and durable new high performance “M” fiber that is designed to withstand frequent and heavy usage. This product is non-toxic and lead free, accomplishing an excellent play area for children or pets! Featuring a brown thatch paired with natural green color tones, Everlast Cascade offers unmatched realism and is great for most landscape applications. Everlast Cascade has a drainage rate of 30 inches of rain an hour, prevent any sitting water that would attract pesky bugs and unwanted puddles! Through tuft bind technology, Everlast Cascade grass blade yarns are triple reinforced into the backing, creating exceptional strength and durability. We guarantee your Everlast Cascade synthetic grass lawn will save you water, time and money! This product is backed by our 15 year warranty.